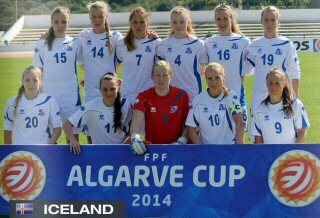 The 2015 Algarve Cup will be the 22nd edition of the Algarve Cup, an invitational women's football tournament held annually in Portugal. It will take place on 4–11 March. Nine teams that have qualified for the World Cup will be in Albufeira, including heavyweights the U.S., Japan, Brazil, Germany, France, Sweden and Norway. The U.S. starts play on Wednesday against Norway, and there are plenty of questions facing the Americans. Because of the number of competetive teams this year, the format was changed. Previously Group C teams were unable to get into the final, which was played between Group A and B winners. This year however, the final will be played between the two best group winners. Points awarded in the group stage followed the standard formula of three points for a win, one point for a draw and zero points for a loss. In the case of two teams being tied on the same amount of points in a group, their head-to-head result determined the higher place.